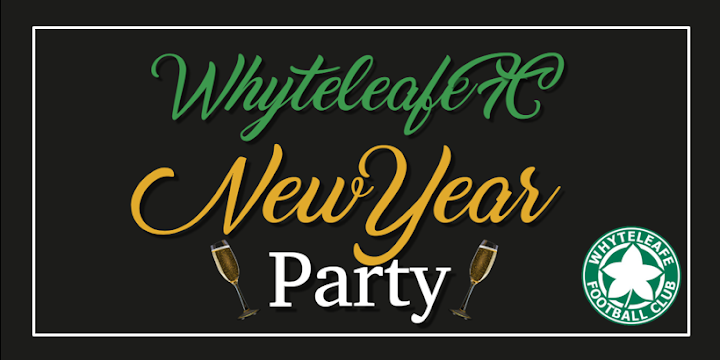 See in 2019 with family and friends this New Year’s Eve at Whyteleafe Football Club. Held in the Whyteleafe FC clubhouse at Church Road, our New Year’s Eve Party promises to be lots of fun for all the family. Door will open at 8:00pm and will include a buffet, a fully stocked and licensed bar with our DJ who will make the night with all the party classics as we bring in the new year with our friends and family. Make sure you don’t miss it. For more information about the party please contact Harry Martin on 020 8660 5491 or via email at harry.martin@whyteleafefc.co.uk.